At the center of the Milky Way, a new discovery reveals for the first time a source of this cosmic radiation at energies never observed before. The center of our galaxy is home to many objects capable of producing cosmic rays of high energy, including, in particular, a supernova remnant, a pulsar wind nebula, and a compact cluster of massive stars. Today we know that cosmic rays with energies up to approximately 100 teraelectronvolts (TeV) are produced in our galaxy, by objects such as supernova remnants and pulsar wind nebulae. Theoretical arguments and direct measurements of cosmic rays reaching the Earth indicate, however, that the cosmic-ray factories in our galaxy should be able to provide particles up to one petaelectronvolt (PeV) at least. While many multi-TeV accelerators have been discovered in recent years, the search for the sources of the highest energy galactic cosmic rays has, so far, been unsuccessful. The (High Energy Stereoscopic System) H.E.S.S. 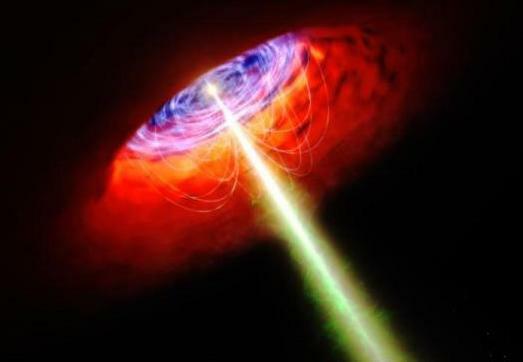 measurement of the gamma-ray emission can be used to infer the spectrum of the protons that have been accelerated by the central black hole – revealing that Sgr A* is very likely accelerating protons to PeV energies. Currently, these protons cannot account for the total flux of cosmic rays detected at the Earth. 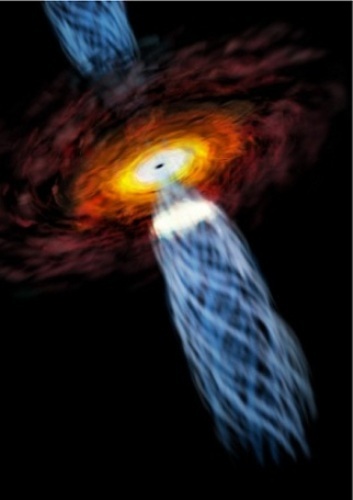 “If, however, our central black hole was more active in the past,” the scientists argue, “then it could indeed be responsible for the bulk of the galactic cosmic rays that are observed today at the Earth.” If true, this would dramatically influence the century old debate concerning the origin of these enigmatic particles.